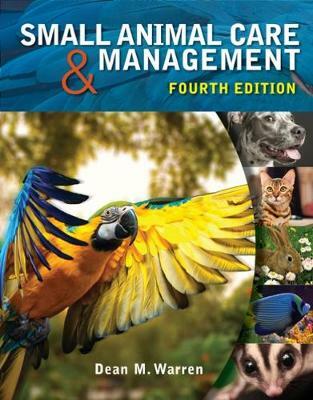 Reader-friendly and engaging, SMALL ANIMAL CARE AND MANAGEMENT, Fourth Edition, offers a comprehensive guide to the care and husbandry of small animals. Through a logical flow of information, it introduces you to the basics of the small animal industry, including the history, safety concerns and care and welfare of these animals before diving into the specifics of each, with chapters covering dogs, cats, reptiles, birds, fish and exotic species. Full-color photos and illustrations visually depict various breeds and their characteristics, anatomy, handling techniques, housing and other care concerns to facilitate learning, while activities and additional resources offer the opportunity for application and further study.